No more bargain - We provide you fixed and transparent fares through the app. The best way to roam around the city is sitting on a motorbike. And the traffic congestion will not be a big trouble anymore, we promise. Our dedicated and friendly drivers will ensure you have the best experiences during the journey. Fixed, upfront prices - even before you book! (*) Fare is applied for following Southern cities and regions: Tp. HCM, Nha Trang, Can Tho, Vung Tau, Da Nang, Buon Ma Thuot, Phan Thiet, Quy Nhon, Da Lat, Hue, Hoi An, Ben Tre, Vinh Long, Rach Gia, Ca Mau. 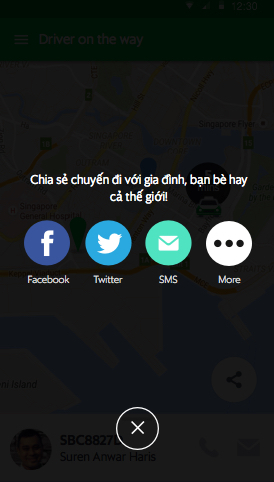 (**) Fare is applied for following Northern cities and regions: Ha Noi, Bac Ninh, Hai Phong, Vinh Phuc, Quang Ninh. 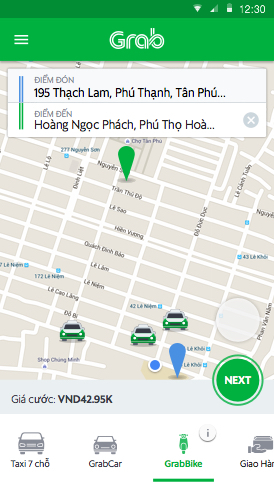 Based on demand/supply in the area, the dynamic pricing will be applied to the basic fare. Total fare will be displayed upfront in the app. 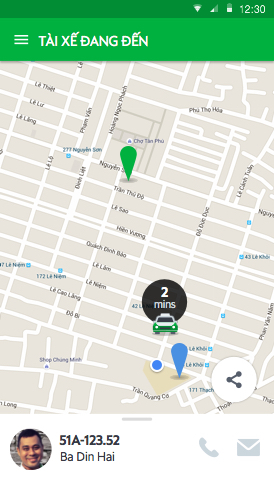 GrabBike will find the nearest available driver for you. Do I need to download a GrabBike app? No. 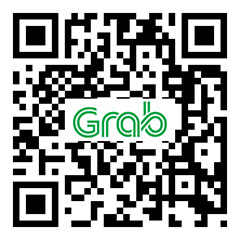 All you need to do is selecting “GrabBike” icon in the Grab app for booking a motorbike taxi. How is GrabBike’s fare calculated? The fare is calculated base on the distance and time frame (peak and off peak hours). After key in your destination, GrabBike will calculate your fare based on the shortest distance. For further information of fare regulation, please see more at the table above. When is the operation time of GrabBike? 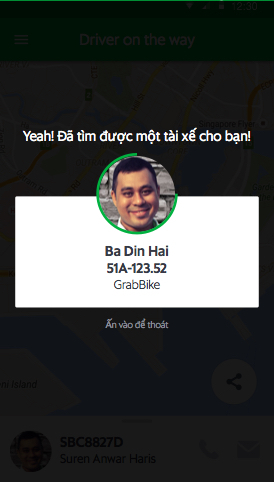 GrabBike operates from 6 AM till 11PM. Besides, a number of freelance drivers will work during special time such as late night or early morning.